USA State wood shape cutout for crafting projects. Perfect for painting like a flag shape or with chalkboard paint. Available in 5 thicknesses from 1 inch to 36 inch. Wooden Fleur de lis cutout for crafting and decorating. These unfinished wood Fleur de lis cutouts can be used in many types of craft projects, pins and fridge magnets. You can show all your friends and family your pride with these shapes around your home. 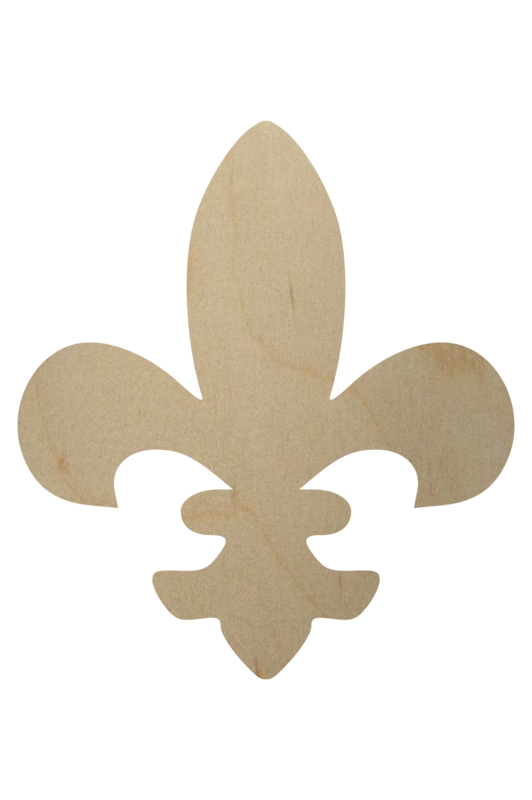 The smaller Fleur de lis cutouts in 1/8″ thick are laser cut while the rest are cut on a CNC. The laser will leave a darkened edge. Baltic birch plywood is easy to finish compared to regular plywood. It is virtually void free and is very stable and durable.